Infinity mirrors, which make light appear to stretch to infinity by bouncing light between two mirrors, are incredible to observe. 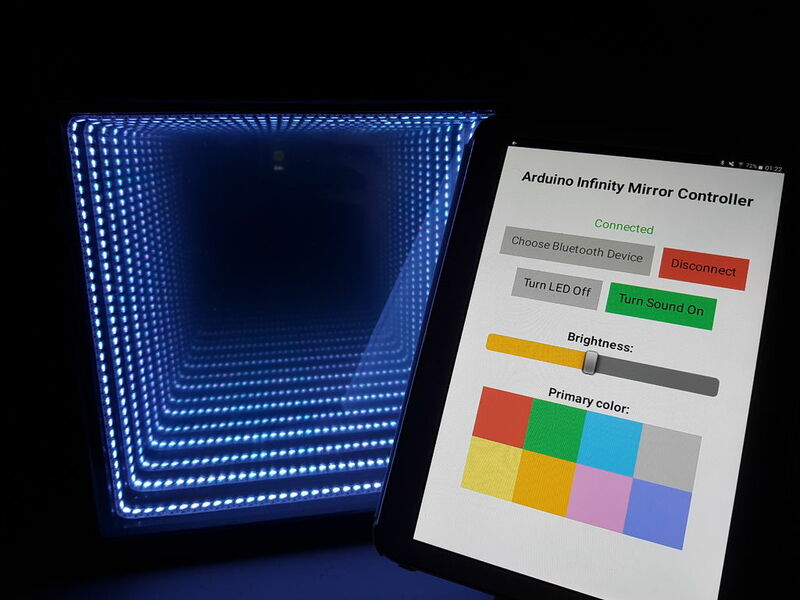 Hacker “Evocate” decided to go the extra mile and not only illuminate the inside of his mirror arrangement, but used an Arduino Uno and a sound sensor to enable it to react to sound. In addition to this sound sensitivity, a Bluetooth app controls color and brightness, allowing him to customize the device on the fly. The mirror also has a built-in microphone which detects sound/music and reacts accordingly by generating eye-catching light strobes on the beat of the music! Simply start up the app, connect to Bluetooth and see the magic happen! If you’d like to build your own, full instructions along with Arduino and app code are available here. Or you can simply check it out in action below!